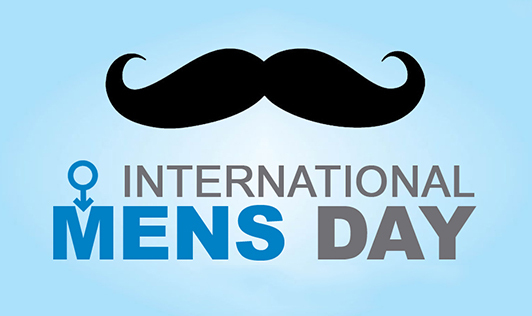 It all began in the year 1999 in Trinidad and Tobago that November 19th of every year was to be observed as International Men's Day. Across the globe, this day is observed with special significance for men, when men can celebrate themselves without limits. This day signifies to bring into light the foremost issues related to boys and men's health. It focuses on improving equality between genders, gender relations and highlights great male role models. Few men in India say that it is important for men to have a dedicated day to celebrate themselves as they make more than half of the country's population. In comparison to the hype created by the much celebrated women's day, men haven't got their share of importance. It is equally important to highlight a day only for men to bring importance to discriminated men and boys of the society due to various reasons and help them with a new way of life. We, as women should also celebrate this day by commemorating the great men in our lives. Take some time to celebrate the male role models in your life, and appreciate men who are not celebrities, but of common working class living honest and decent lives. Let's make use of this day as a great way to recognize the involvement of men in our families and their contribution to the world. Let us make it a platform to educate all men and women about gender issues and talk about them openly. Our team wishes all the men out there a "Happy Men's Day"!